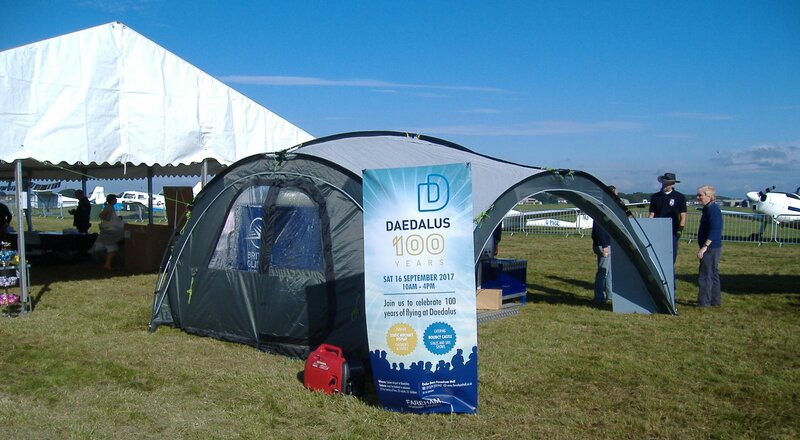 Daedalus 100 Years Celebration on 16 September 2017. Copyright Anne Grant. 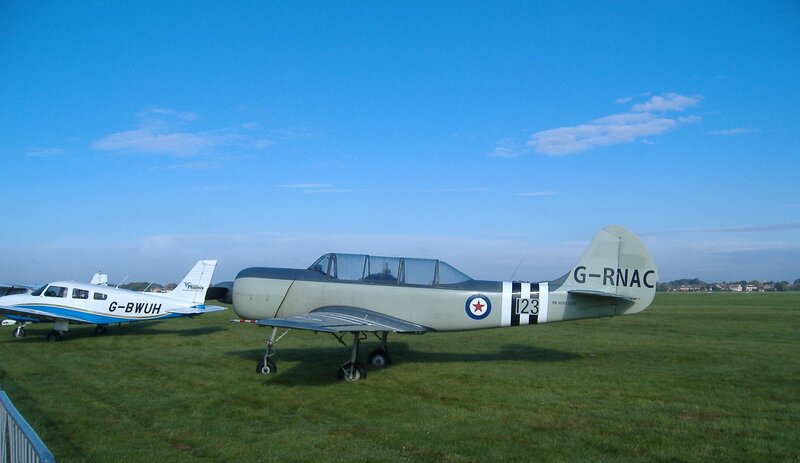 It started out as an idea by Lee Residents Association to celebrate 100 years of flying at Lee-on-the-Solent airbase. The town, having staged D-Day 70 with huge success in 2014, decided the centenary of the airfield should not pass by unrecognised. A bid was submitted to the local council for funding to stage an event in September 2017. 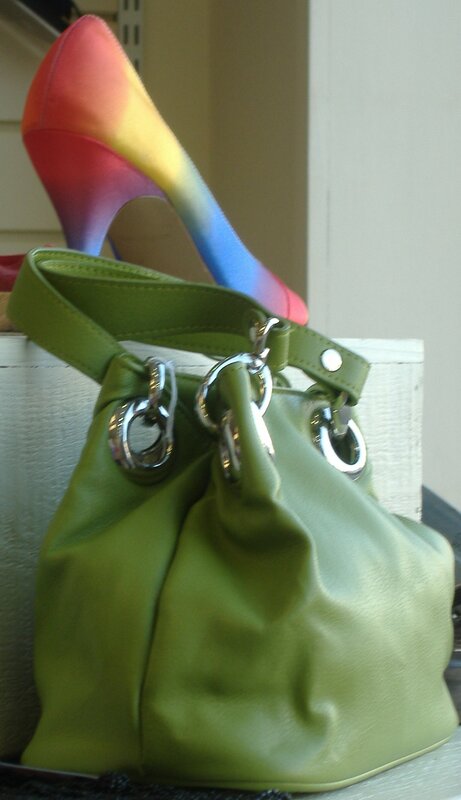 Some photos from this website, see ‘Gee Whiz, This Is Great’, were contributed to help with the bid. It snowballed from there with Lee Flying Association and the local council getting behind the event. The airport operator Regional and City Airports Management Ltd., took on most of the event organisation. The number of visitors was restricted to 2500, governed by limited car parking arrangements. The sell-out event was a great success. If any nervousness was felt by all the small groups involved in participating, as to how it would all go on the day, those nerves vanished as the crowd arrived. The sun shone and blue skies lasted until the close of the day. G-RNAC 123 and G-BWUH at Daedalus 100 Air Show. Copyright Anne Grant. The static line up of aircraft was impressive, from vintage Bi-Planes to the Britten-Norman Trilander G-RLON recently retired from service. 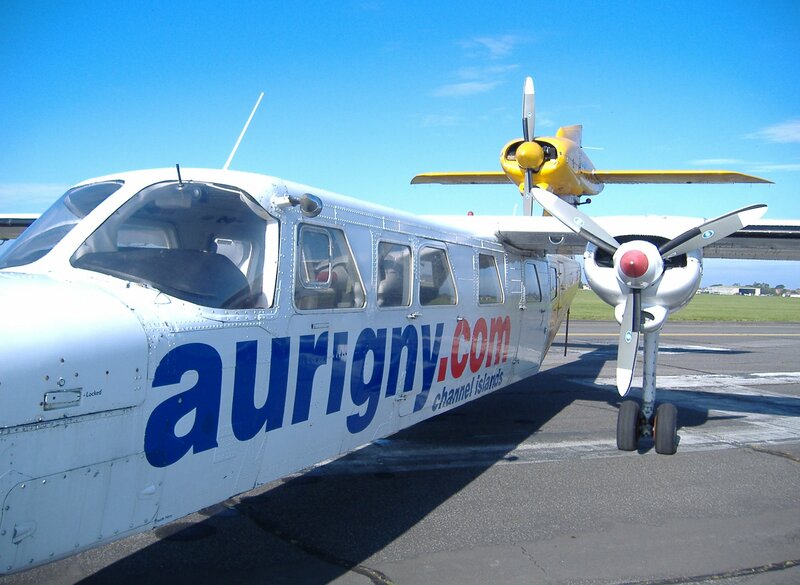 This was taken out of service by Aurigny Air Services this year having flown between Southampton and the Channel Islands for 25 years. 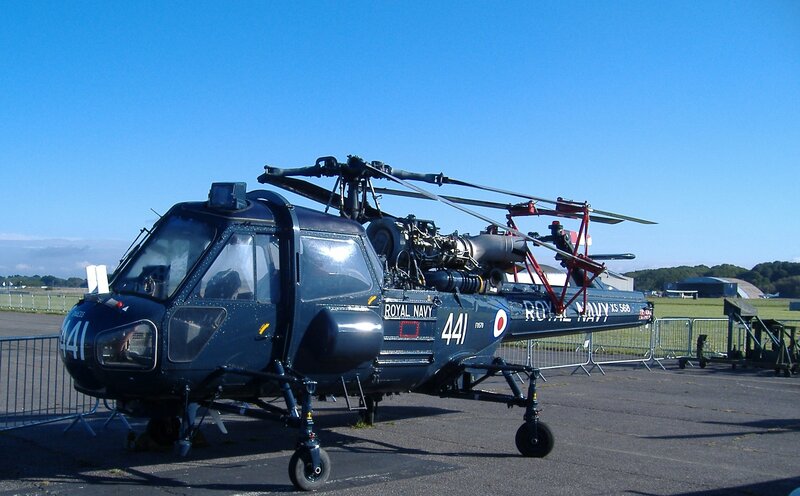 It passed into the ownership of Solent Sky Aviation Museum of Southampton on permanent loan and is temporarily stored at Solent Airport (Daedalus), Lee. Close by to the B-N Trilander was the other Britten-Norman exhibit, the sleek looking Islander G-JSAT. Britten-Norman started design and production on the Isle of Wight at Bembridge. In recent years B-N has moved much of it’s production to Lee but retains a working unit at Bembridge. 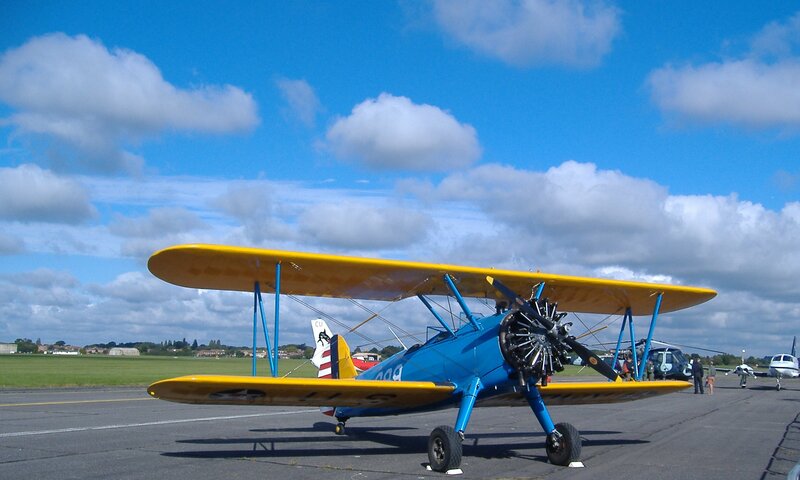 What wasn’t in the Daedalus 100 line up is the aircraft in this historic photograph (see below) sent into Solent Aviatrix by Phil Phillips who is in New Zealand. The photo is included here to accentuate the stunning success of this aircraft company around the world. 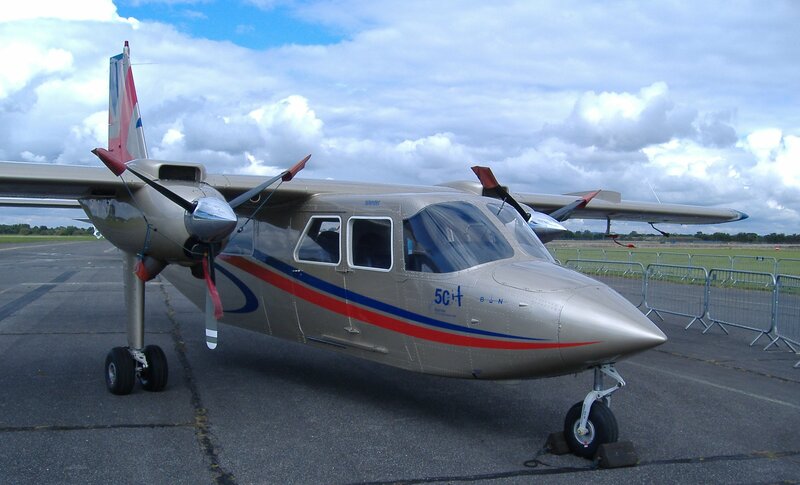 Britten-Norman flight crew of 500th B-N Islander built at Bembridge circa 1975/76. 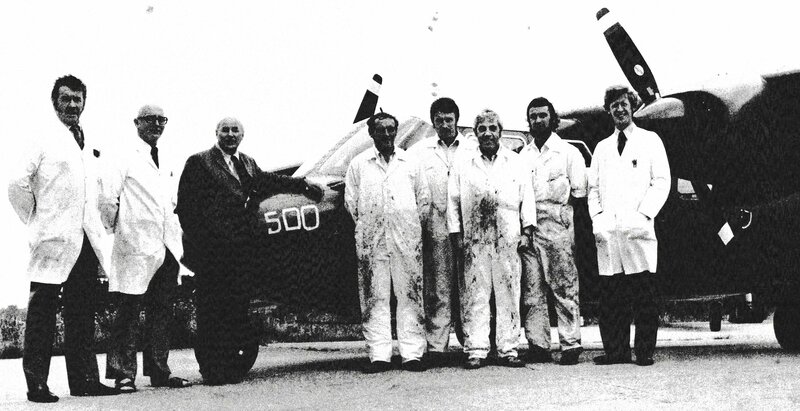 Left to right: Sydney “George” Crooks, Dave French (foreman), John Neilan (pilot), Phil Phillips (engineer), G. Raynor (engineer), Alfie Grimes (paint shop foreman), Bruce Lockhart, Clive Dove (production foreman). Phil worked for a while at B-N before moving to New Zealand. He would like some help with naming two of the men in this photo. 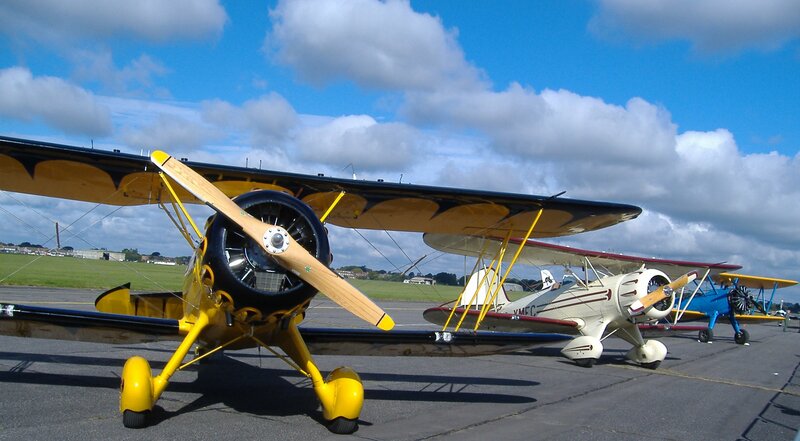 Back to the Lee Airshow, of the older aircraft, bi-plane enthusiasts were given a treat with this line up. 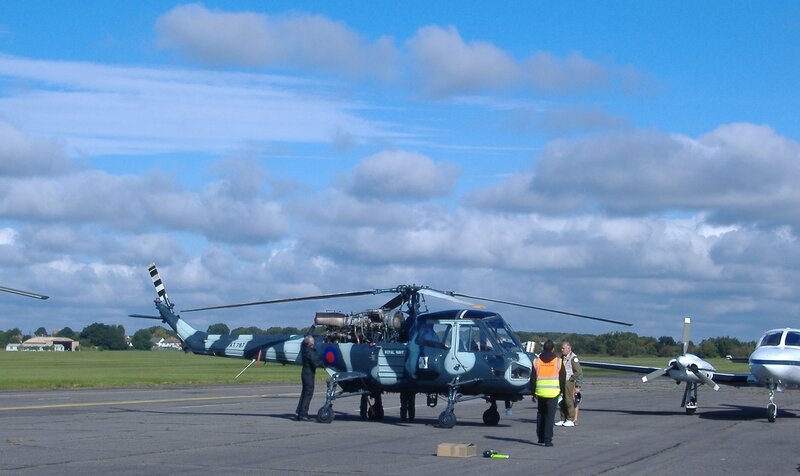 The Royal Navy was present with their helicopters. There was also a Float Plane. 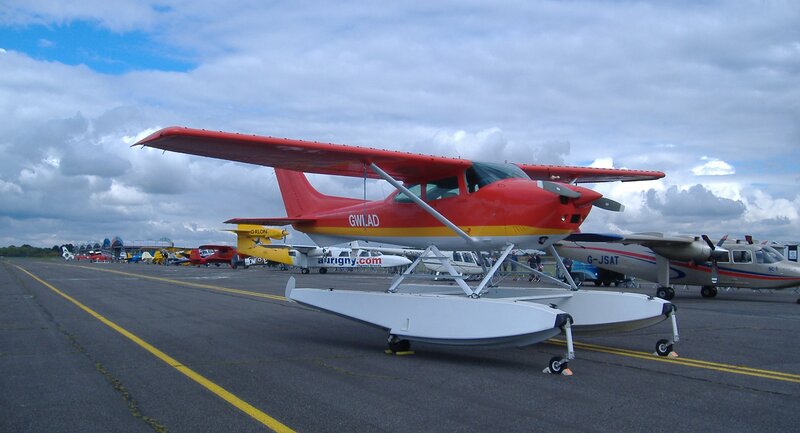 Float plane G-WLAD at Daedalus 100 Air Show, Solent Airport, 16 September 2017. 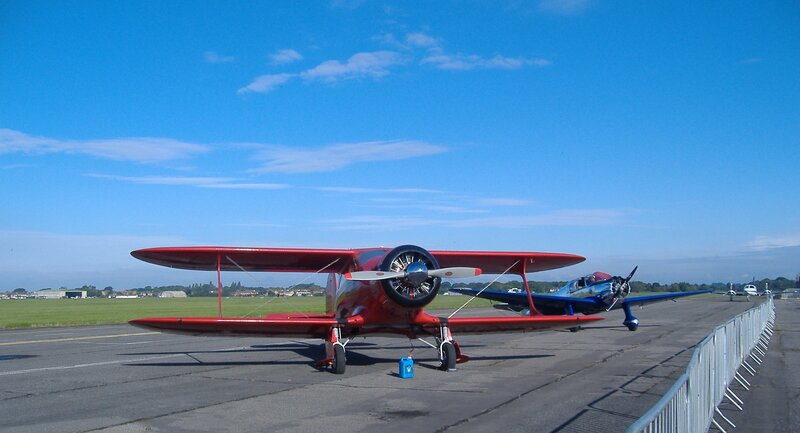 Behind left is B-N Trilander and behind right is an Islander. Copyright Anne Grant. Completing the line up and bringing the aircraft up to the present day was Pheonix Aviation who are based along side Lee Control Tower. 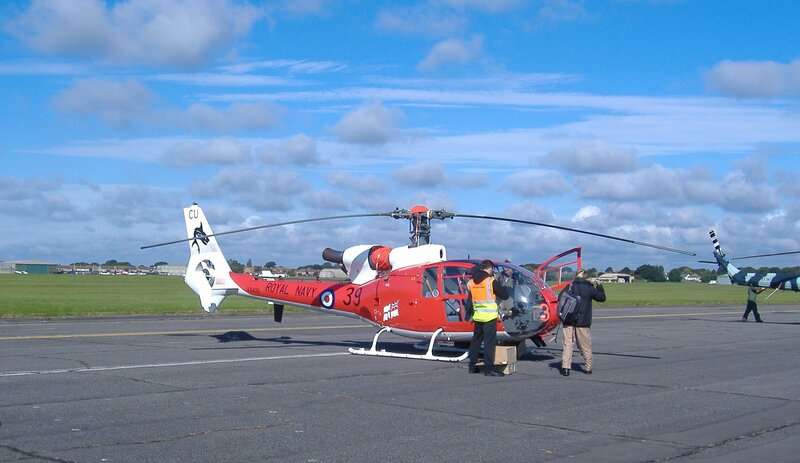 They can be seen daily, flying in and out, over the Solent, training new pilots. 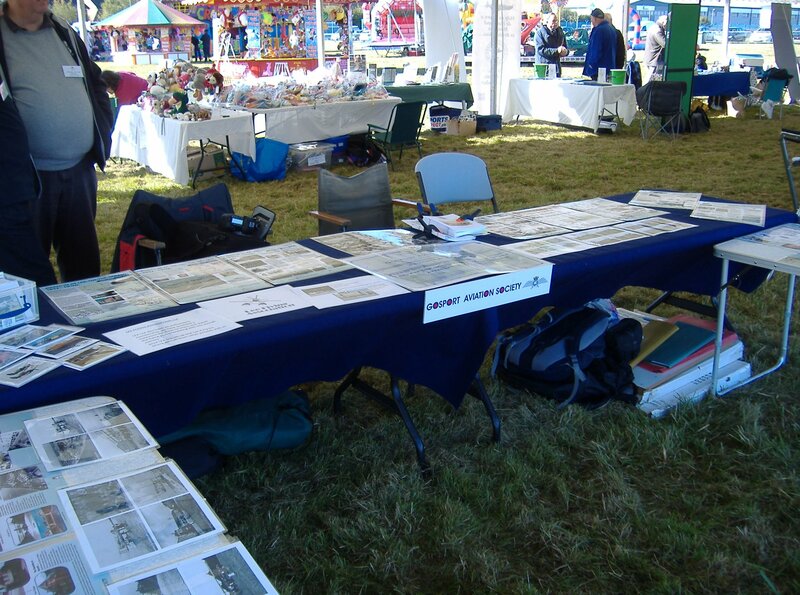 Some of the side shows included local interest stalls such as Gosport Aviation Society. 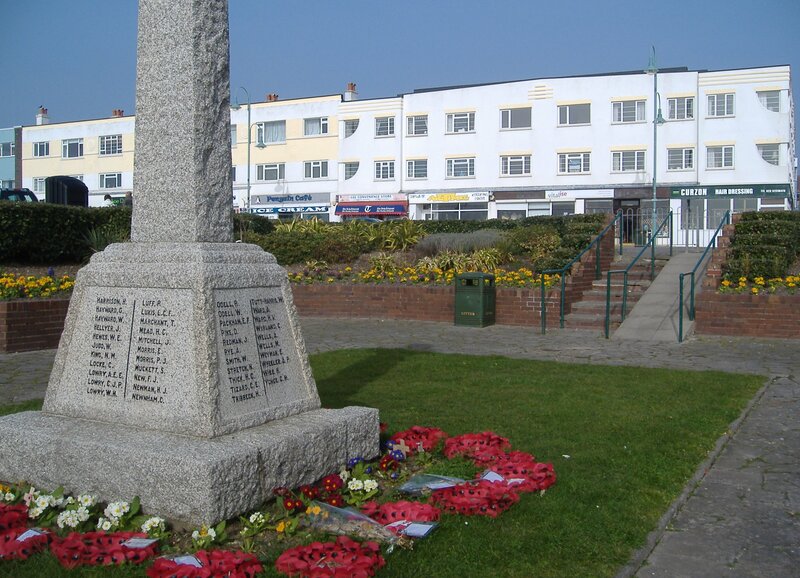 This organisation holds monthly meetings in Stubbington with a different guest speaker each month. 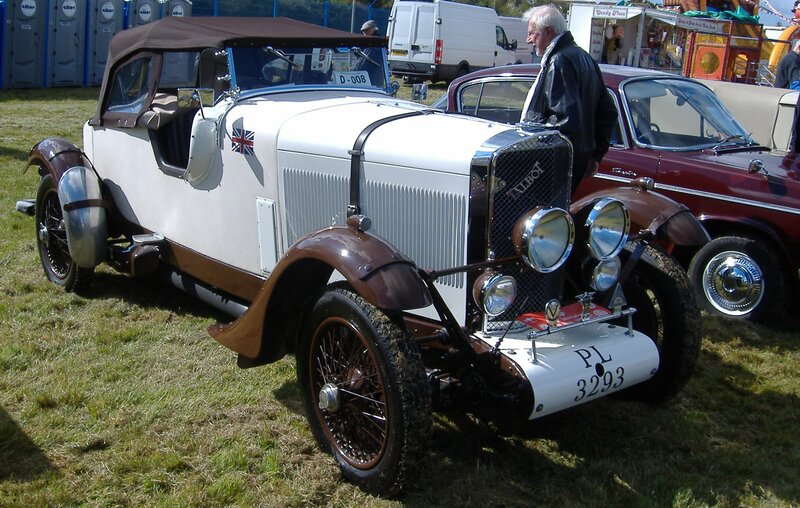 No vintage air show would be complete without some classic cars and this one was a beauty. My thanks to Bob Wealthy for his assistance on the day with these photographs. 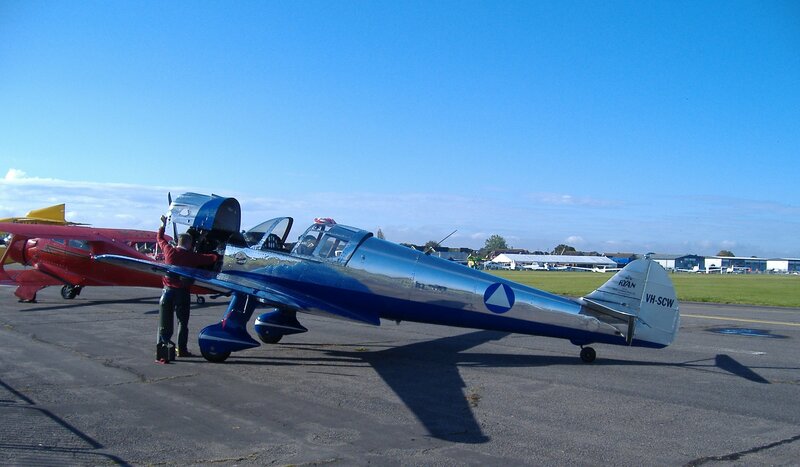 Bob attended the event wearing his three aviation hats – Gosport Aviation Society, Solent Sky Aviation Museum volunteer, and Britten Norman Aircraft Preservation Society Chairman. Whilst the show was on, some aspects of the airfield continued to function with it’s normal business. Saving lives at sea can’t stop for an air show. The Maritime and Coastguard search and rescue helicopter, which is based at Lee, flew in and out several times, adding to the sights and sounds on the day. What is often overlooked in the history of the airfield is how the town developed around it. 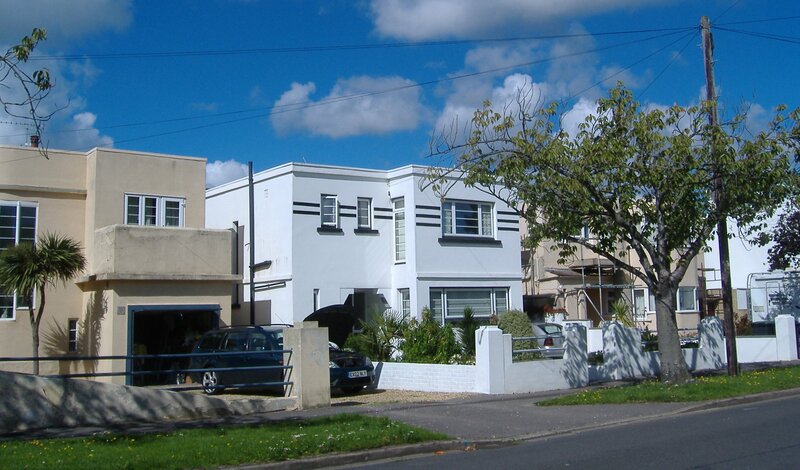 Art Deco houses in Milvil Road Lee-on-the-Solent. Copyright Anne Grant. Houses were built around the perimeter in the style of the day, like these superb Art Deco dwellings. 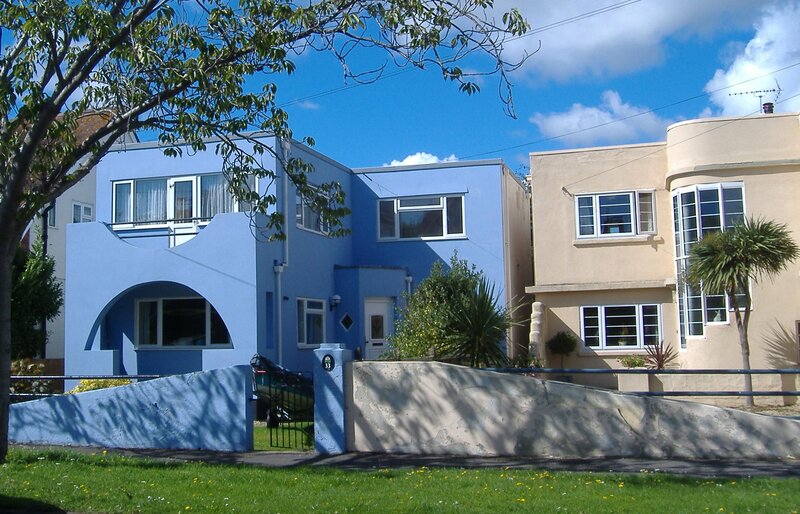 Art Deco houses in Lee-on-the-Solent. Copyright Anne Grant. They are admired and treasured now for their beauty and architectural heritage but that was not always the case. When other houses were being built for military staff there was some local opposition. A short lived campaign was waged against the extension of the airfield and perceived extravagance of the planned building programme for Officers’ Quarters and sports facilities. The embittered objectors deplored what they considered to be the lavish misuse of tax payers money. It should be noted that this was about the time of the 1930’s depression. This may account for the vocal opposition from aggrieved and presumably less fortunate individuals. A professional looking signboard proclaimed, ‘This is Lee on the Solent where the rainbow ends.’ The signboard was removed soon after it first appeared. The development went ahead. The properties in question included Westcliff House, Officers’ Mess. See Daedalus Gems for an illustration of the interior decor – Ballroom and all. In total 21 houses were build for military use. Now, in the 21st century, that architectural legacy from those fractious days is enjoyed and admired by many. The airfield and associated built environment is what gave the town much of it’s character. Art Deco buildings Marine Parade Lee-on-the-Solent. Copyright Anne Grant. At the same time as the Daedalus 100 Air Show was on, down on the shoreline the annual Hovercraft Museum Show was in full flow for the whole weekend. SRN4 Hovercraft Princess Margaret. Copyright Anne Grant. The museum is based on airfield perimeter and uses the slipway for hover rides on special days. The event drew large crowds. On the Sunday an extraordinary vehicle arrived and parked next to me. Not the sort of thing you see every day, I had to take photographs and have a chat with the occupants. (See below). 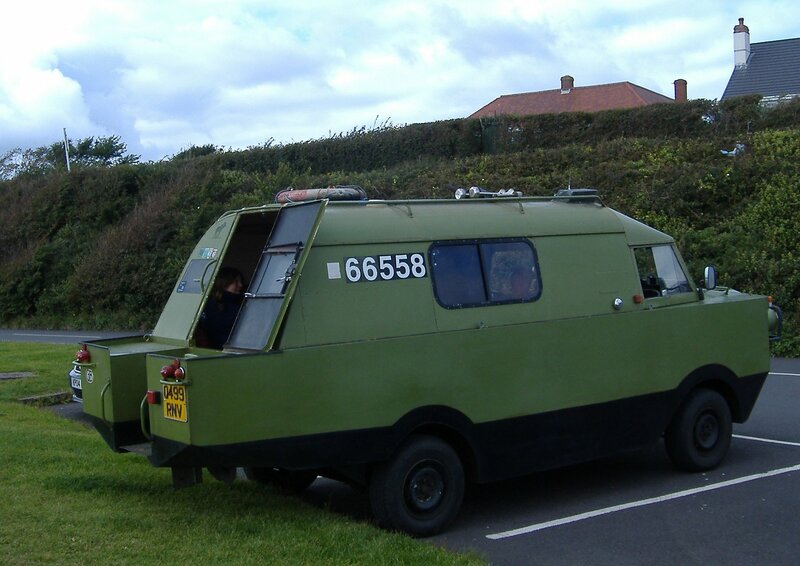 They had driven to Lee especially for the Hovercraft Show and had gone out onto the Solent on one of the special hover trips for paying customers. The owner of Amphicar Q499 RNV is an engineer. He designed and built this motor/craft himself. He said that most people want to take photos of the exhaust pipe and propeller which are positioned side by side. 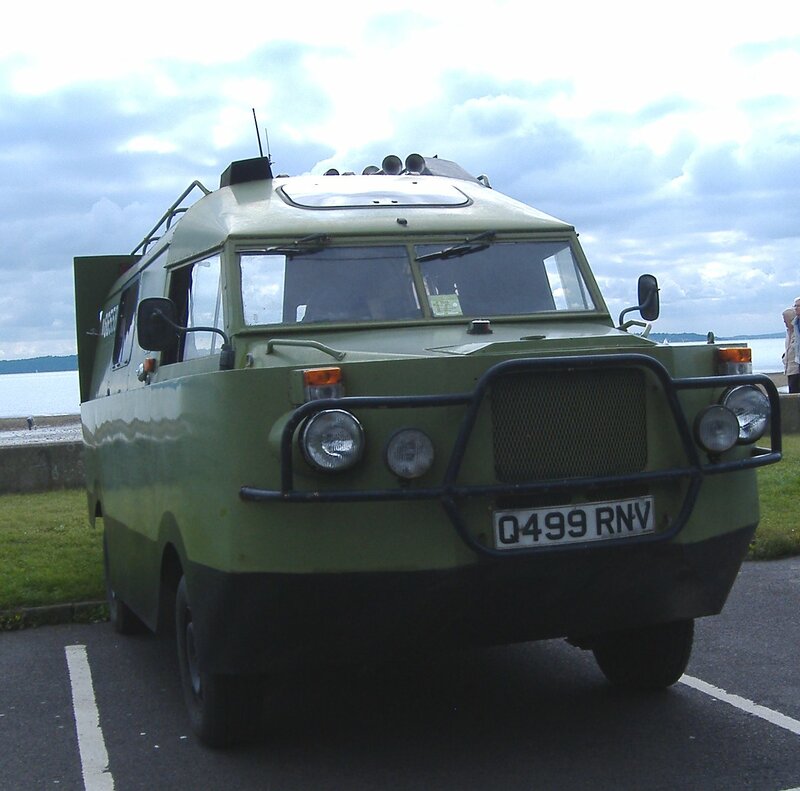 The registration number 66558 on the side of the vehicle permits him to take it onto Lake Windemere. He and his partner travel around Europe going afloat on fresh water courses, such as the canals of Netherlands and France, and fresh water lakes of Norway, Sweden and Finland. On one occasion they motored across the Solent to the Isle of Wight, from Lymington to Yarmouth – for free!. The journey took about twenty minutes. As salt water rusts metal, they rarely venture out onto sea water. Complete with a lovely Westie dog snoozing on a cushion between driver and passenger and the kettle on the boil inside their Amphicar, their hand built vehicle provides them with all the comforts of home when going on their travels. British eccentricity or engineering genius? Both. And long may inventors such as he continue to amaze us. Then the weekend was over. The vintage aircraft flew away. The Navy helicopters returned to base. The Solent sparkled in the warm September sun. Where the rainbow ends? Copyright Anne Grant. Solent Airport returned to normality. 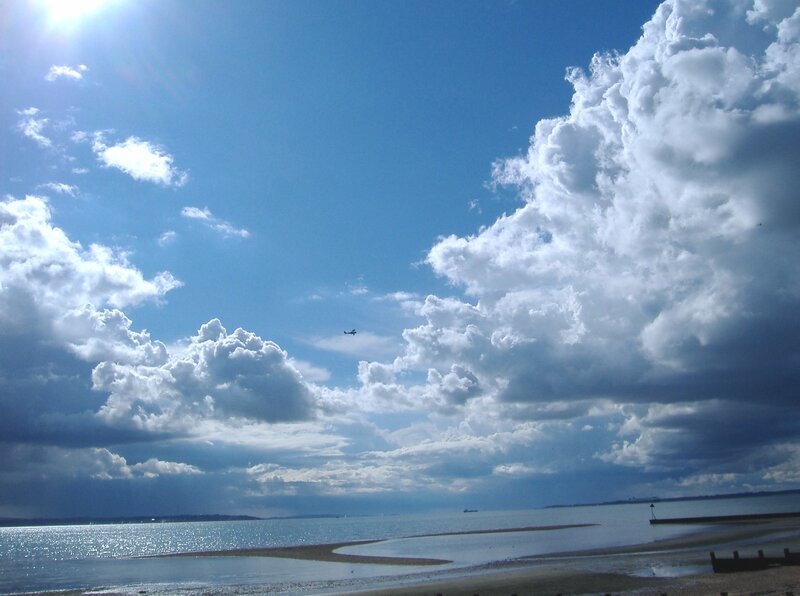 Marine Parade Lee-on-the-Solent. Copyright Anne Grant. 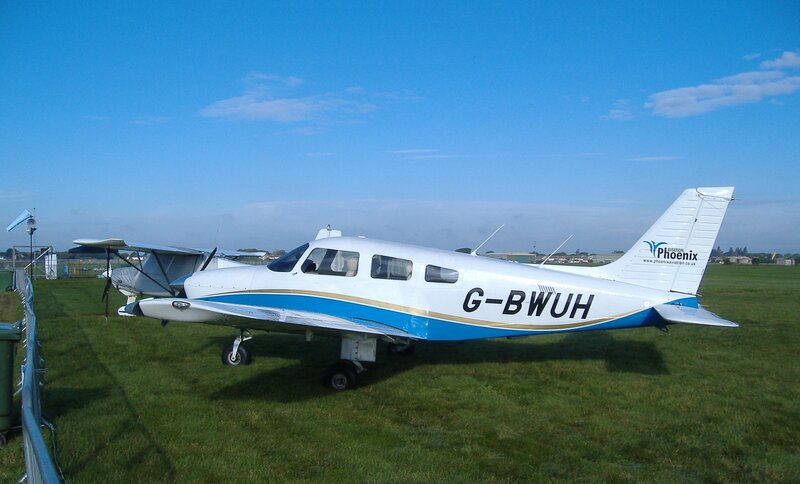 Pilot flying school resumed with Pheonix Aviation aircraft. And lovely Lee went back to normal business. Ice cream anyone? 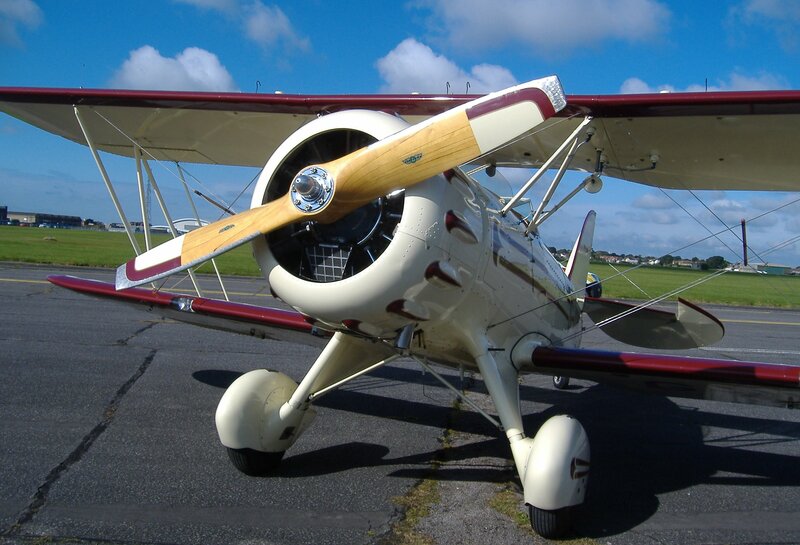 This entry was posted in Art Deco Town, Aviation, Daedalus 100, History, Hovercraft and tagged Britten-Norman, Daedalus 100, Daedalus Airfield, Lee-on-the-Solent, Solent Airport. Bookmark the permalink.